College Recruiter regularly produces white papers that address challenges to the talent acquisition community and in human resource planning, especially professionals hiring entry-level. Below you’ll find our archives. Enjoy! 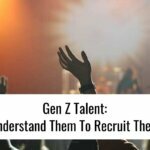 Gen Z Talent: Understand them to recruit them. All of your college recruitment, from now until 2033, will be tapping Gen Z talent. To say that Gen Z will change the workforce is an understatement. This white paper gives concrete tips for recruiters, TA and HR leaders who related to sourcing, equity, benefits, branding and more–to help attract Gen Z candidates. 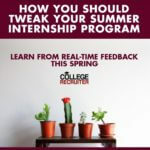 How you should tweak your summer internship program: Learn from real-time feedback this spring. Recruiters have been warming up summer intern candidates. There are several things they can listen form, and communicate back, to increase your hiring success. This guide touches on new intern regulations, Gen Z, candidate communication, branding and the single most important factor in delivering a great internship. Recruiting can’t be strategic until it shifts to a marketing approach: Here’s how. 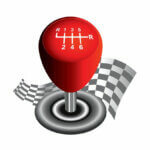 There is little doubt among strategic recruiting leaders that recruiting must become more like corporate marketing. 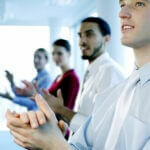 Marketing receives much stronger executive support and more funding than recruiting. This is because marketing emphasizes data-driven decision-making, market segmentation, powerful branding and being customer-centric. This white paper discusses seven important approaches recruiting should consider borrowing from marketing. Making or breaking the entry-level candidate experience: Turning common mistakes into opportunities. 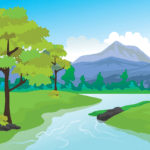 Disengage your candidates, and you shrink the pool you have to fish in. Qualified candidates who drop out in the process cost money. Like all of us, candidates have grown to expect great experiences. We teamed up with our friends at TMP Worldwide to create a white paper that will guide in turning common mistakes in the recruitment and selection process, and turn them into opportunities. 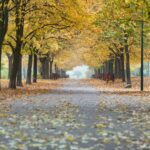 Fall 2017 College Recruitment: Emerging trends and challenges. As the school year creeps up, recruiters are looking at their plans, and wondering what to keep from last year and what to change. NAS Recruitment Innovation and College Recruiter teamed up to provide insight into trends and offer advice for talent acquisition teams with a high volume of entry-level hiring needs. We touch on applied tech skills, programmatic advertising, what students are looking for, diversity and much more. 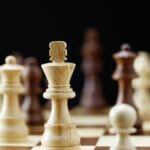 Winning the talent acquisition war in 2017: There has been a shift in tools and techniques used by employers to attract talent in light of advances in technology and business needs. An effective recruitment strategy should not only align with workforce plans, but also attract top performers. Employers need to respond to key trends when it comes to acquiring talent. This white paper addresses diversifying the workforce, use of analytics, hiring millennials, leveraging mobile technology and responding to the gig economy. 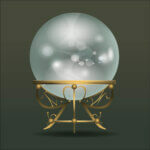 Predictive analytics, bias and interviewing: For centuries, crystal ball gazers and fortune tellers promised to be able to predict the future. They played on our biases and gullibility, and counted on us attributing chance occurrences to their predictive powers. 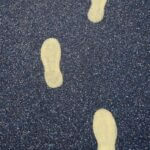 But predictive analytics gives us the ability to reduce uncertainty by applying statistics and determining the probabilities that future patterns will emerge in the behavior of people and systems. This white paper addresses privacy invasion, biases that impede truth, and what to do about bias. Don’t pass on game changer candidates who are still rookies: Game changers are high-impact hires who, soon after joining a team, end up completely transforming it. They quickly move beyond being just top performers because they can be further described using words like stunning, remarkable, exceptional, or extraordinary. Unfortunately, I frequently see recruiters and hiring managers pass over these extraordinary rookies. This white paper addresses identifying rookie game changer candidates. How employers evaluate career services, job boards and other sources (And how mobile recruiting changes everything): When College Recruiter began using technology to track candidates who clicked “apply” in 1998, within months, one of the world’s largest hospitality companies was paying us $0.05 per click to drive thousands of students and grads to their career site. And yet today, few employers seem to properly track the sources of candidates who visit their career sites, let alone those who apply, are interviewed and get hired. This white paper addresses flawed assumptions about evaluating sources, and the solution.